The current role of English as an International language requires reconsideration of the hitherto teaching practices. In this presentation, modifications towards more authentic listening inputs and tasks in existing ELT courseware are made and practitioners‚ feedback on the implementation of these modifications is reported. Keywords: Listening input and tasks, Authenticity, Teaching Practices. 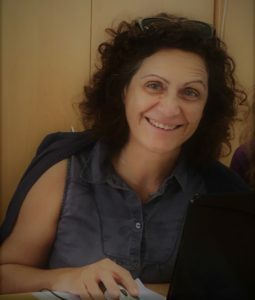 Natasha Tsantila teaches Linguistics at Deree-the American College of Greece and has been involved in EFL syllabus design, ELF and ELT pedagogy. Dr. Anastasia Georgountzou teaches at the Athens Kapodistrian University, English Department and in the M.Ed. in TESOL at the Hellenic Open University. Who is Natasha Tsantila? What is the single characteristic that you want most people to know about you? How is your presentation connected to the umbrella topic of the conference of “The 5 Ts of TESOL: Teach, Train, Transform, Transcend, Trust”? This presentation is going to show how teachers can reflect upon their hitherto teaching practices and trust themselves to be transformed by reconsidering their teaching viewpoints and practices. Which is your favorite T? Teach, Train, Transform, Transcend, or Trust, and why? What does TESOL Greece mean to you? Community building, bonding, dissemination, learning. What are your expectations from the 40th TESOL Greece Annual International Convention? If you could send a wish to TESOL Greece, which becomes 40 this year, what would it be? To live long and prosper. 2019 © TESOL Greece. All Rights Reserved.